Home > Learning Center > Home Improvement > How Do I Take Care of My Air Conditioner in the Summer? How Do I Take Care of My Air Conditioner in the Summer? Your central air conditioner is the modern luxury that cools your family and your home when you need it most. However, air conditioners become less energy-efficient over time, especially if you don't appreciate or care for them as you should. While some of these problems are the unavoidable result of age, there are issues caused by the buildup of dirt, dust and grime that are completely preventable if you take care to provide the proper maintenance. When certain parts of your air conditioner aren't cleaned promptly, the entire unit has to work harder and use more energy to create the comfortable environment you desire, which is important to keep in mind whether you have central air or are looking to increase window air conditioner efficiency. Follow these air conditioner efficiency tips to save money and get the most from your appliance. It's vital that you invest in an annual tune-up before the hot weather arrives. 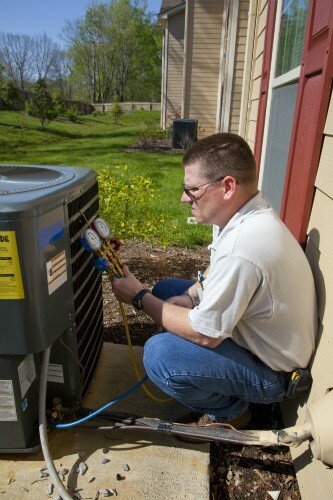 Most HVAC companies offer tune-up services to keep your system running at optimum energy efficiency. A tune-up will include tightening all electrical connections, lubricating fans and cleaning the system. The technician will check the coolant levels and be able to diagnose more serious issues that sometimes arise after years of use, like refrigerant leaks, and then fix the damage to restore your high-functioning air conditioner. Just as tuning up your car improves gas mileage levels, tuning up your air conditioner will make it more energy efficient and help preemptively avoid major breakdowns. Your air conditioner moves air through your home in a regular cycle. After it sends the cool air into living areas, it then collects old air and moves it back through the system. Before the air returns to your air handler near the furnace, it goes through an air filter, which captures particulates and airborne pollutants that could damage your system. As the air filter fills with allergens and dust, it gets clogged up, which limits the airflow moving to the handler and causes your system to strain and run inefficiently. Extend the life of your air conditioner and keep its energy efficiency at peak performance levels by changing the air filter regularly. Make sure you're also choosing the right air filter for your home. In addition to changing the filter, you should also take the time to clean your return air ducts. Duct covers that are clogged with lint, dust and dirt block airflow and force your system to work harder, shortening its lifespan while harming its efficiency. Vacuum these ducts every time you clean the room to ensure that there is adequate airflow reaching your HVAC unit. Torn or disintegrated insulation can impact the air conditioner's cooling power. Inspect the insulation covering the coolant pipes each summer, and replace them if necessary to keep the air conditioner running efficiently. You can easily remove the old insulation and replace it with new materials yourself. Even the duct work in new homes can be dirty, as construction debris and dust naturally collects inside them. If rodents or other pests have visited your home, then your ducts may also have a coating of droppings and nesting materials inside them. When the air turns on, fine particulates drift into the home and lower your indoor air quality. They also drift back through your air conditioner system on the return air side and start to hamper air flow. Have the ducts professionally cleaned to improve indoor air quality and make your system more energy efficient. Another way to improve your air conditioning efficiency is to check the wiring in the condensing unit for any signs of overheating or wear. Remember to turn off the air-conditioner before you begin. If you see burned-looking or worn-out wires, call a professional to repair the damage. One of the most important central air efficiency tips is to keep your compressor and condenser coils clean. This is part of a tune-up, so you won't have to open the system if you invest in professional services. However, the coils can get dirty, which means they will struggle to absorb heat effectively. You can clean the evaporator and condenser coils with a garden hose, but be careful to not get any electrical connections wet. When cleaning coils, inspect the fins as they are delicate and bend easily. If you notice any bent fins, simply straighten them out using a fin comb. In addition, you should remove any grass, weeds or old leaves from the winter that accumulate near your air conditioner, and avoid landscaping within two feet of the unit. Items should not be stored near the exterior compressor, because anything blocking air flow makes the system less energy efficient. If you are wondering how to make your air conditioning more efficient while you coax along an elderly unit that is decades old, it's nearly certain that the most effective way to bring your cooling bills down is to invest in a new air conditioner altogether. 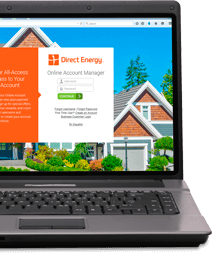 Look for a unit that bears the Energy Star label so you know that you're purchasing one of the most efficient models on the market. It's a large amount of cash to shell out in one go, but you'll thank yourself later with the savings you experience over time, not to mention all the future breakdowns and repairs that you avoid. Read more on how to choose the right air conditioning unit for your home.